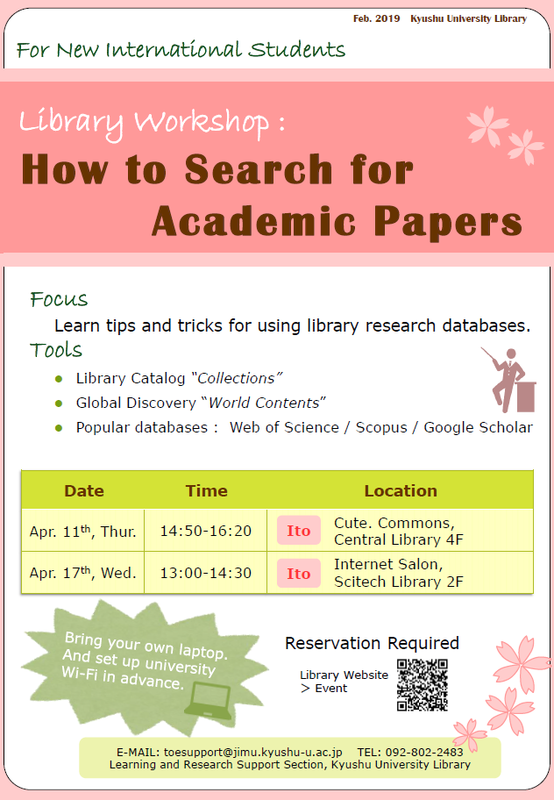 Kyushu University Library holds a seminar "How to Search for Academic Papers." This semiar is targeted at novice researchers and given in English by a librarian. Please bring your own laptop to the workshop because we will do a lot of hands-on training. Learn how to search for academic papers using the following databases. ​※The library also provides seminars in Japanese. For more information, see here (新入大学院生向け「文献の探し方」). We appreciate your coopertation for Questionary Survey after the workshop.